Every year, I sit down and set intentions for the year to come. Sometimes, they are specific and goal-oriented. Sometimes they are not. I have come to look forward to this exercise every year. The secret of setting intentions is this: you create the intention, you set the tone and then, you make it happen. You create the future you want to live when you choose to live with intention. Don’t confuse intentions with resolutions. Resolutions, particularly those centered around deprivation, set you up for disappointment. Avoid resolutions like, “I am going to lose 15 pounds” or “I am never going to eat chocolate again.” Instead try on intentions that you can realistically live up to like “I am going to choose a healthy lifestyle” or “I am going to find a new job.” The difference is subtle but important. You might still lose 15 pounds, but you won’t feel like a failure and compelled to eat a whole chocolate cake if you don’t. Get clarity around what you want and need. Intentions can be goal-oriented like finding a new job or creating a healthier lifestyle. Intentions can also be more psychologically-oriented like making a decision about a relationship or life choice. For example, the year that I chose to get a divorce, I had set the intention to get clarity around my marriage. I didn’t know what that would look like at the time but creating the intention helped me to create movement and understanding in an area where I really needed it. What do you want and need in your life right now? Reflect on that question before setting your intentions. Think about what you would like to accomplish at the end of next year — don’t be afraid to challenge yourself. Imagine being at the end of the year ahead, looking back and feeling fulfilled — how did you make that happen? This is an opportunity to set the intention to do something you’ve been wanting to do — write that book, climb that mountain, run that marathon. Make the decision to make this the year you actually do it. Don’t let fear of failure deter you from setting meaningful intentions. Yes, you might fail. Maybe that’s okay, good even. If you don’t risk failure, you can’t succeed. Would you rather fail trying or succeed at doing nothing? Failure is an opportunity for growth so try to change the way you look at it. If you don’t succeed, you’ll learn something about yourself that you may not have known before. Failure can be a gift. Seriously. Nobody likes it at first, and sometimes it’s hard to see the gift in it, but life’s great failures can pave the way to meaningful next chapters. Consider how you will follow through with your intentions and create a plan — schedule it. Think about what it will take for you to get there. For example, if you want to find a new job in the new year, you will need to work on your resume, research job opportunities, apply, go on interviews, maybe do some networking. When you create the intention, think about the actions required to get there and set deadlines for yourself. Make the action plan to back up your intentions so that you set yourself up for success, especially with goal-oriented intentions. Intentions are a superpower available to anyone who takes the time to set them. 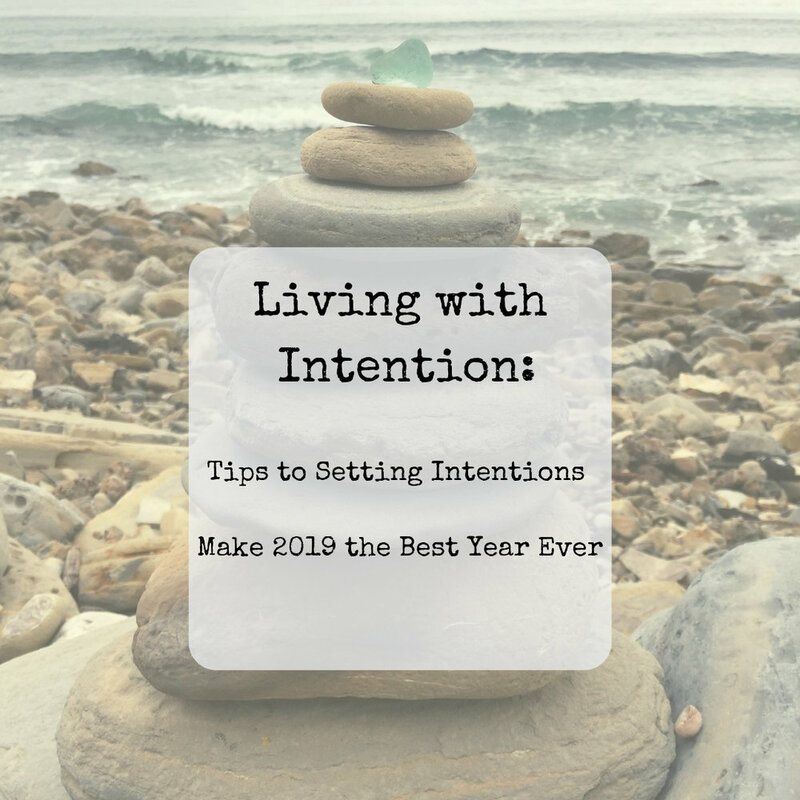 One of my favorite rituals at the end of every year is looking back at the intentions from the year before and creating my intentions for the year ahead. Set the intention to make this an amazing year. And then make it happen. You can and will.